LunART Festival will present a preview concert at the Verona Public Library on Monday, May 21, from 6:30 to 7:15 p.m. Festival directors Iva Ugrcic and Laura Medisky (playing “In the City at Night” for solo English horn by Jenni Brandon), and pianist Vincent Fuh, will perform music by female composers for flute, oboe, and piano. Presented will be works by Jenni Brandon (“In The City at Night”), Madeline Dring, Shumalit Ran, and Alyssa Morris. 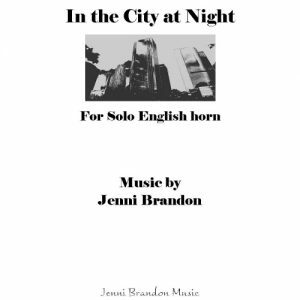 “In The City At Night” (solo English horn) was written at the request of Ryan Zwahlen, oboe and English horn player with the Definiens Project…He was searching for new literature for the English horn and wanted to increase the repertoire by requesting composers to write new pieces for him to perform and record. 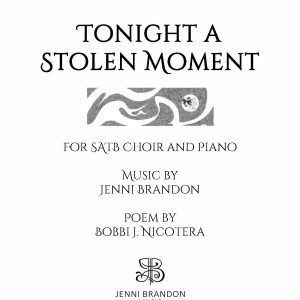 Jenni wanted to write him a piece that uses the lovely, lyrical range of the English horn while at the same time composing something that was also rhythmically fun to play. “In The City At Night” focuses on just that; it is at times playful and fast like many lights blinking on just after dusk in the city. At other times it is quiet and serene like the city streets that are empty at the early hours before dawn. 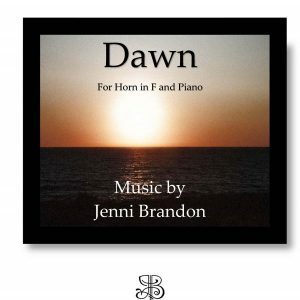 In creating this world, Jenni wanted the listener to be left with thoughts and impressions of a city after dark, and the lone voice of the English horn telling the story of a night adventure on the city streets. Listen to an excerpt of the music. This concert is free and open to the public. To register, or for library information, visit www.veronapubliclibrary.org, or call 608-845-7180. The Verona Public Library is located at 500 Silent Street. 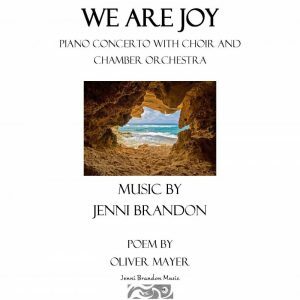 « Jenni’s Chansons de la Nature pour la Clarinette Performed At The University of Wisconsin School of Music Concert.